Some cartridges offer limited factory options, and reloading allows you not only to shoot these rounds but also to come up with loads custom-tailored with bullets you like or want to try. In the Dark Ages when I was a kid, it was an article of faith you could handload a cartridge that was not only cheaper but also better than any cartridge you could buy. Today I’m not so sure. Factory ammo is pricey today, but inflation also has hit reloading equipment and components. You can save money at the loading bench, but it takes a lot of shooting to amortize the equipment. For high-volume competitors it’s a no-brainer, but for casual shooters the savings aren’t so clear. On the other hand, when you start handloading you’ll probably find yourself shooting a lot more, which is good. As for “better” this is also not as clear. My dad was a bird shooter, with zero experience with centerfire rifles. When I got interested, Dad went to a buddy of his, Jack Pohl, then owner of the old E.C. Bishop gunstock company in Warsaw, Missouri. I was about 11, and Jack taught both of us. The deal: Before I could go hunting I had to learn how to handload. Back then, factory ammo was limited. Most of it was okay, but there weren’t any “premium” loads with designer bullets. I was certain I could build a better cartridge than I could buy. Today factory ammunition has come a long way in both variety and consistency. However, it always depends on what you want and what you are willing to accept—and how robust the factory choices are for the cartridges your rifles are chambered to. You can still load a cartridge that if not “ better” than a factory cartridge is at least specifically tailored to your rifle. But despite how incredibly good factory ammo is today, there are times when the best solution is to load. 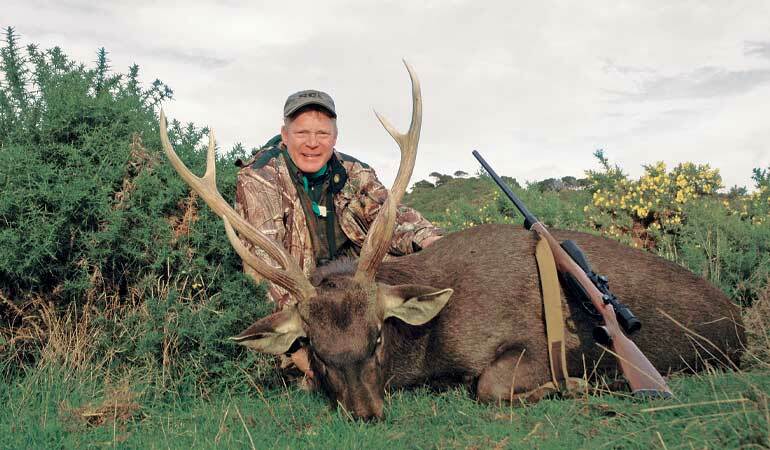 Craig used 200-grain Sierras, handloaded in a .300 H&H, to take this sambar. Such cartridges are prime reloading candidates. The basics of the self-contained centerfire cartridge has changed little since 1870. The four components are: case, primer, propellant charge and projectile. All can be varied. You can try different brands of cases, which vary in weight and thus thickness of brass and internal capacity. There are dozens of propellants—flake, ball, long grain and short grain—with different burning rates. Not all are suitable for all case dimensions. Sometimes there are many choices, other times just a few. Either way, the weight of the charge can be varied. You can try different weights, shapes and constructions of bullets, and you can vary seating depth to best suit your chamber. Then you can combine all of these components into infinite variations. How far you want to go with trying different combinations depends on your goal. If all you want to do is shoot a whitetail from your tree stand, it’s pretty simple. The loading manuals are full of tried-and-true recipes, so just pick a bullet you trust and mate it with a “medium” load. You should get minute-of-deer accuracy. If your goal is maximum velocity, then you’re going to vary powders, working up slowly, checking cases and using a chronograph. If your goal is maximum accuracy, then you’ll eventually vary all four components, and you’ll probably invest in some more advanced equipment along the way. And then there’s the cartridge itself. The more popular the round, the greater the selection of factory ammo—and thus the greater chance that your rifle will approach its optimal performance with off-the-shelf fodder. The less popular the cartridge, the smaller the selection of factory loads—and thus a lesser likelihood that factory ammo will allow your rifle to really strut its stuff. Some of my perennial favorites are covered by just a couple of factory loads. These include the .264 Win. Mag., .300 H&H, 8mm Rem. Mag., .358 Win. and .350 Rem. Mag. Available factory loads don’t realize their potential. They are handloaders’ cartridges. In some cases, bullets are the main driver—like in areas where you must hunt with non-lead bullets. Boddington turned to a colleague to load GMX bullets for a .300 Savage. And with obsolete cartridges and non-standard or wildcat cartridges, you’re either going to have to handload for them yourself or turn to a custom loading company. Obsolete isn’t necessarily a matter of age. Not yet 20 years old, the three Winchester Super Short Magnum cartridges are already obsolete—as in, there is no factory ammo available. 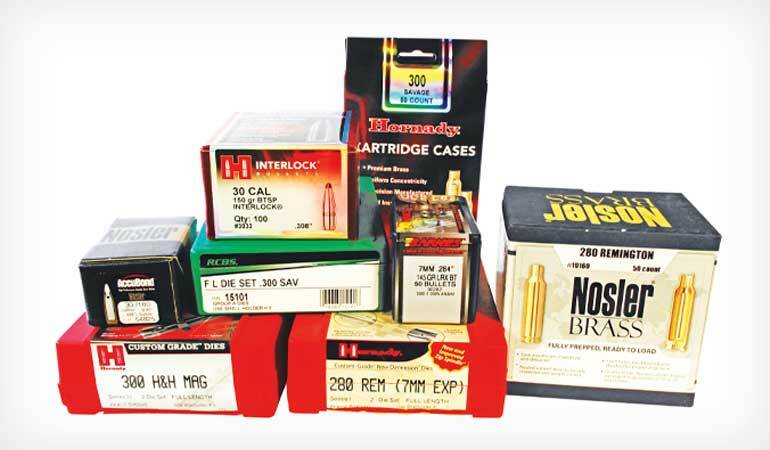 With some of these rounds—whether unpopular factory offerings, wildcats or obsolete cartridges—the first problem is brass. The second is reloading dies. And the third is bullets. Fortunately, few cartridges have totally unique case dimensions. Most centerfire cartridges were created from a parent case and can be formed from an existing case. Dimensions are known, so die manufacturers can make them. Most bullet diameters are more or less standard. In the case of blackpowder cartridges, casting your own may be the best option, and bullet molds are available or can be made to order. Availability is better than ever across the cartridge spectrum. I started reloading for the big Nitro Express cartridges before new Boxer-primed cases existed. I used old, hoarded Kynoch cases, and Jack Lott taught me how to load with Berdan primers. 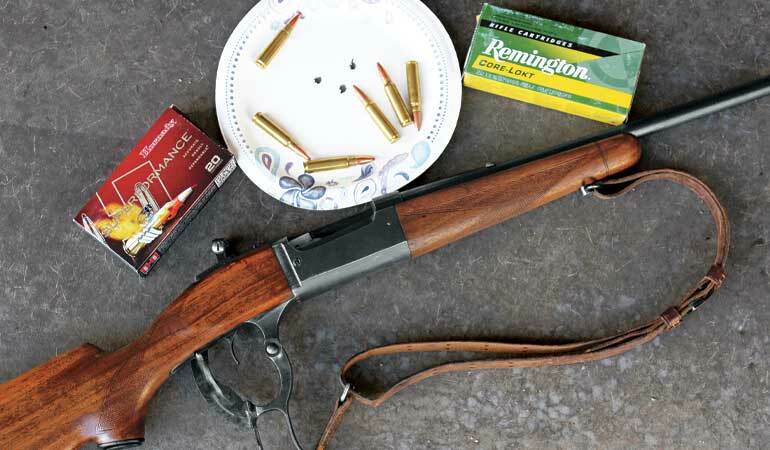 Later, I had a .318 Westley Richards—when there was no new brass and no .330-inch bullets. Brass can be made by shortening and sizing .30-06 cases. The bullet problem was solved by swaging down .338 bullets. Bottom line: Where there’s a will there’s usually a way, but the more offbeat the cartridge the greater the hassle. For every shooter who has a .280 Ackley or .475 Turnbull, there are hundreds who shoot .270s and .30-06s—where the imperative to handload is thus not nearly so strong with popular cartridges. On the other hand, you’d go broke if you endeavored to try every single one of the hundreds of factory .30-06 loads. At the tail end you’d have stacks of partial boxes, and you might shoot out your barrel before you find the factory load your rifle likes best. Handloading is an obvious answer. You pick the components and fiddle with them to your heart’s content. Most of us probably start with a specific bullet we wish to use. 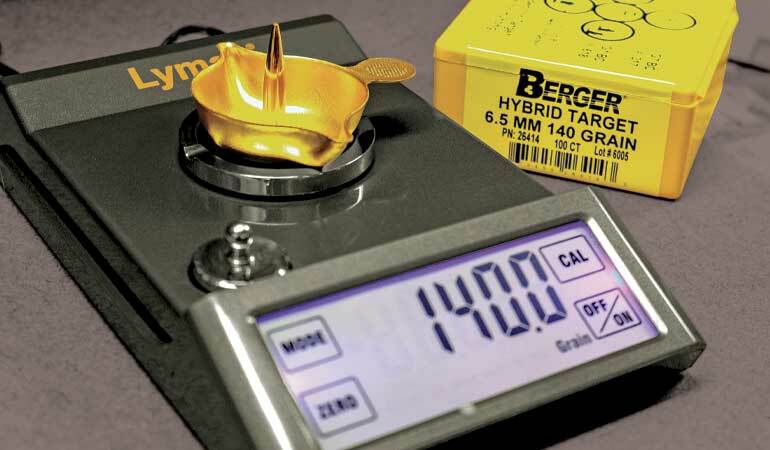 If accuracy is a primary goal, then we might start with Berger’s VLD, Hornady’s ELD or Sierra’s MatchKing. In hunting bullets the world is your oyster, as there are scads of them—from premium offerings to “plain old bullets,” which still work pretty darned well. Geography can play a part in this as well. For example, “lead free” zones are becoming more common. I’m perfectly happy with Barnes X, Hornady GMX and other non-lead hunting bullets, but these bullets are often loaded only in the more popular cartridges. If you must use non-lead bullets and they’re not offered in your cartridge, you’ll need to handload. In Central California we’re in the condor zone and must use non-lead bullets. I acquired a vintage Savage 99 in .300 Savage for a story, and I wanted to shoot some wild hogs with it. There aren’t any non-lead factory loads, and I didn’t have dies. Since I didn’t intend to keep the rifle, I had a colleague— Phil Massaro of Massaro Ballistics Laboratories—build up a load with the 165-grain Hornady GMX and went hunting. If I had made the decision to keep the rifle, I would’ve simply bought dies and added them to my stack of die sets, many of which are for obscure cartridges. If accuracy is your goal, and you’re willing to go the extra mile—segregating bullets and cases by weight, for example—you can milk the most out of any rifle. Then we look at propellants. Most of us have old favorites, but there are so many new propellants that it’s worth a look at a current manual. Some manuals offer recommendations—like “most accurate powder tested”—and all give velocities. Keep in mind, however, that loading manuals show results in just one test barrel. Most of us will initially use whatever cases we have, likewise primers. Down the road these can be switched around, but don’t mix them up. For the moment, we have enough experimenting to start with just by varying the powder charge. I usually work up in half-grain increments, loading just enough for a couple of groups per load. Usually, the best accuracy is reached before you get to the highest velocity—but not always. Seating depth is another area for simple experimentation. Seating just off the rifling’s lands often provides best accuracy—but not always. Sometimes they need more jump. As a hunter, I usually load for the best combination of bullet performance and velocity with accuracy I am satisfied with. If accuracy is the primary goal, the search widens and is endless. Understand, however, that improvements in accuracy are usually incremental and rarely exponential. No matter what you do, it is unlikely you’ll turn a rifle averaging 1.5-inch groups into half-m.o.a. However, many handloading procedures will help wring those last increments of accuracy from your barrel. Some finicky handloaders perform these procedures as a matter of course, while many others follow the most basic procedures. You will trim your cases to consistent, proper length. But manufacturing tolerances vary, so do you weigh your cases and bullets? Do you trust your powder dispenser, or do you weigh every charge to last tenth? Do you clean your primer pockets? Have you tried neck-sizing only, and have you considered match or competition dies? None of these steps are essential to ensure handloads that are as good as anything you can buy. But if you want loads that are better than store-bought, then you’ve got some work ahead of you. And in the accuracy game, that work is never quite complete.